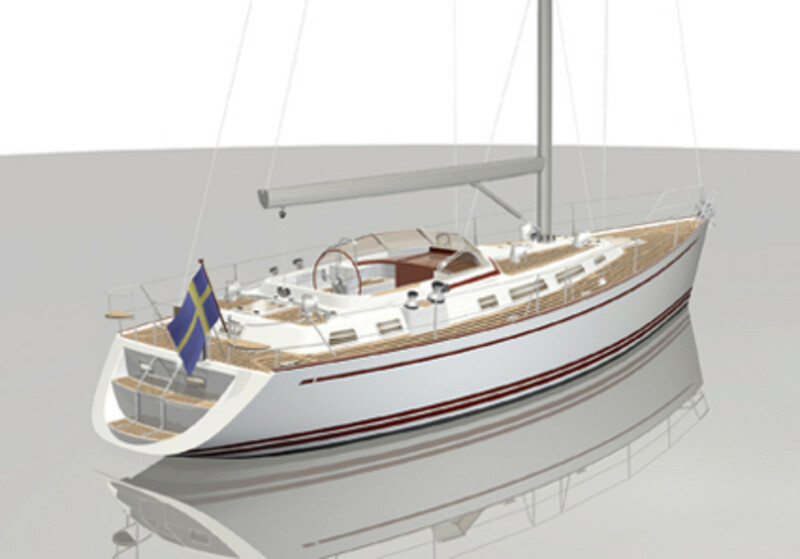 Following a number of successful collaborations with the Judel/Vrolijk design team, Najad has improved the windward performance of this new 44-footer by giving it a narrow V-shaped entry forward. For solid downwind performance, the aft sections have a more pronounced U shape and slightly more beam. The keel is also deeper and narrower than on previous models, and the spade rudder is well balanced for precise control by the helmsman. Belowdecks, there are two large double cabins with ensuite heads—a V-berth forward and a large double berth on centerline aft, behind the engine space. The galley is at the foot of the companionway on the port side; the nav station is directly across to starboard. All wood joinery is polished and varnished mahogany.